In the past, our team brought blazing fast speed to Magento through its LiteMage Cache extension and more recently to WordPress through its LiteSpeed Cache Plugin for WordPress (LSCWP). 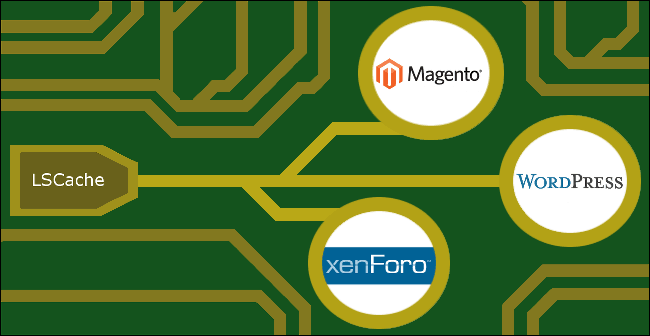 Now it’s time for XenForo to join the list of applications accelerated by LiteSpeed Web Cache with the release of the new LiteSpeed Cache Add-on for XenForo (LSCXF). LSCXF is a full page cache add-on that caches and serves pages for non-logged in users, greatly improving site performance when a large number of your visitors are guests. There was an existing 3rd party LiteSpeed Cache Add-on for XenForo (since deleted) called XenForo LiteSpeed Cache. A few bugs existed in this add-on that could sometimes cause the wrong cached version to be served when logging in and out, the caching and serving of admin pages, and problems when users selected the stay logged in option. During the development of our new LSCXF add-on, we worked closely with our good friend and XenForo Guru Slavik in testing and addressing these issues while also adding in new features. The new LiteSpeed Cache Add-on for Xenforo not only fixes these problems, but also makes some great improvements with more accurate caching, better performance, and greater ease of use. Thanks to LSWS’s internal cache vary cookie, you no longer have to set up any rewrite rules. The same applies to cookies as these are now handled internally by LiteSpeed Web Server and the LSCXF add-on. In addition, Public TTL can now be adjusted to fit your caching needs, allowing you to fine tune your caching strategy. For more info on installing and customizing LSCXF, check out our Installation Guide. What web application would you like to see LiteSpeed accelerate next? Let us know in the comments section below!